I came across your article about wall colors that go well with wood trim — very insightful! Thank you for posting! Here’s the problem, for me. It has oak trim, an oak stair case, oak banister, oak mantel, oak doors… you get the picture. My mom thinks it would be a crime to paint all of the wood. So, it’s my mission to update the space even with the oak overload. She seems to be open to new white doors and painting some of it (mantel maybe?). If you have suggestions of what can go white and what can stay oak, that would be greatly appreciated. And, I know, some of it’s white and some of it’s oak. Is that how it’s supposed to be? No worries. The periwinkle is going. Yes, yes… I know, I know! It’s not even close to being an unkitchen. Would you mind suggesting a few wall colors that would work in the space? We very much prefer a white wall paint. I’m leaning toward Benjamin Moore Swiss Coffee everywhere. Is there a better off-white wall color that would work well? Which direction should I go? But, I’m also considering revere pewter and sage green if white just wouldn’t work. I would GREATLY appreciate your advice in what do to with the walls and trim! And finally, I’m also very interested in design consultation for the space! We are doing a full cosmetic remodel. Your aesthetic is spot on for what we want. If that is something you offer online, it would be wonderful to work with you! Okay, this is a real “dear laurel” letter and thank you so much for your kind words Tom, but, I’m not doing any consultations. It’s just not possible for me to do it all. I realize that Tom means well. There appears to be a common misconception amongst non-designers that we can make these types of decisions off the top of our heads. If only it was that easy! But, it’s not. In fact, here is the other reason that I don’t do paint consultations any longer, particularly long-distance. Tom graciously took some photos for me with the lights out, mostly. I mean, which images are more accurate in terms of color? This looks like it was re-stained at some point. But, this is typical that I am sent images that look totally different from each other of the same space. So, the only way, I’ll consider this is if it’s totally conceptual in nature. However, we can still learn the concepts because that’s what’s most important. I debated this one because there are numerous posts on what color to paint the walls if the trim is stained. Below are some of them. Paralyzed By Perfection, Should She Paint Wood Paneling. The Wood Stain is too Red After Poly, Can It Be Fixed? However, there are some issues in Tom’s letter that are concerning me and I am going to go over them. But, I think that they are common issues. And well, I’m incredibly touched at how he’s looking after his parents. Plus, he’s taking on the responsibility of project managing a remodel. Tom’s question of what white wall paint color will look good with stained wood trim is a very good one. However, as I see it, it’s a little like asking what color shoes should I wear before knowing what the dress is going to be. I’m sure I’ve said that one before. The first question that I have would be: Is there any white wall paint color that will look good with stained wood trim? Yes, I think so, but with a big BUT, because we’re getting way ahead of ourselves. We need to begin at the beginning and the beginning is the house, itself. Here are some questions that I think are helpful in discovering how we should move forward when remodeling a house. When was it built and where is it located? Do we like what’s here? If we don’t like what’s here, can it be changed? Let’s begin with #1 and #2. I took the liberty of investigating where this home is. Thank you, my darling Google. I found the listing and more images. It’s in suburban Chicago and was built in 1993. It is part of a development of up-scale homes with lovely property. What style is the home? Hey, I’m just the messenger. However, I do agree with that terminology. But, the majority of homes I’ve seen in the last 30 years are “other.” Most homes these days have multiple identities. This one’s a combo platter of modern, traditional and American mid-west ersatz which is neither here nor there, but very common. Now, let me make it clear that I’m not saying that this is a bad house. It’s a great house but with some problem areas. If it didn’t have potential, I wouldn’t have bothered. Let’s go to number 3. It is clear to me that Tom, a man, I’m presuming, thinks that there’s too much wood. It’s interesting because most men LOVE stained wood. Mom, whose house this is thinks that it would be a crime to paint over all of that nice wood. Also interesting. Tom is willing to compromise by painting the fireplace mantel and doors. We’ll come back to this later to discuss if one has both stained wood trim and painted wood trim, what can stay stained and what should be painted and why. 4. Do we like what’s here? And that means in terms of the more permanent features. 6. How much are we willing to spend to make the changes necessary to achieve the look we want? And let’s add one more consideration. 7. Are there any glaring faults? For me, yes, one. And unfortunately, it would cost a pretty penny to fix it. Do you see it? It’s the open staircase, smack dab in the middle of everything with an open loft to below and then the staircase keeps going down to the basement. It’s too open and thus there are a million spindles which isn’t a cozy look. The spindles are too traditional/fussy. Square or round with less detailing would be better. The spindles should be painted white. And then, there’s that straight run of 14-steps. Unless it’s next to a wall and in an old home with a real hallway like Nancy Keyes’ fabulous staircase, a straight run like this is not a good design. In fact, it looks a little scary from the top. In addition, while we’re here, the stair runner is a little narrow. I prefer no more than 4-5 inches of wood margin in a staircase this width and this looks to be at least 6 or 7 inches. Well, ripping it out is going to be expensive, but let’s have some fun! Above is the first floor layout from the real estate listing. Please note that the schematic is not accurate in terms of the staircase. What they show would be better, but that’s not what’s there in real life. There should be at least one turn on that run of stairs, but I would do two turns and put up some walls. for part of it, perhaps. Above is me messing around, but as you can see, I made two turns of the stairs, with two little landings for ease in turning. Let’s look at some other staircases for inspiration. Wait a minute Laurel. All he wanted to know is what white paint color should he use? Why are you going on and on and on about the staircase? In other words, it’s all connected. I’m sure that I’ve harped many times, that before we pick paint colors, we must get the bones together. Otherwise, we cold end up with a big bloody mess. Let’s take a look at some beautiful, classic, non-fussy staircases for inspiration. One of my favorite entry and staircases ever by Victoria Hagan. It is perfect. I love that classic newel post. Something like this would be a better look for Tom’s folks. A more country look, but I love it from Country Living. I’m not big on balconies that open up to a room. I would make it a hall and a room. Or, maybe just a wall with interior windows. But, now, I’m going too far because this is getting into the nitty-gritty. I do suggest that they consult with an interior designer and/or architect for more extensive changes. And, I’m hoping that one of the changes will include changing the wall-to-wall carpeting upstairs for a hardwood floor. Now, for the wood trim. This is the ersatz part. It is neither contemporary/modern or traditional. And, I realize that I’m walking a slippery slope. But, for years and years I’ve seen this kind of wood trim that is stained for no apparent reason. Most trim from the neo-classical (traditional) era was painted. And, you have to remember that I’m from the midwest. I was born less than 20 miles from this home and I lived for five years in Wisconsin in the 70s. Plus, I’ve been back dozens of times. It is the land of wood trim. Oh, they love it out there and they’re still doing it in new builds! My mom is in a beautiful memory care facility. It was built only two years ago and it’s full of wood trim. While I fully understand where Tom’s mom is coming from, I need to respectfully disagree about it being a crime to paint over it. IMO, the crime is that it was ever done this way in the first place! And all the more so because in some rooms it IS painted and in the same space, some of it isn’t painted. The plantation shutters say coastal Georgia and all of the wood says something else. It’s not working. I do like this dining area. And the pale gray is very lovely too. Is there a way to compromise? Possibly. However, it requires knowing what else is going on and I haven’t the foggiest. So, I’m just going to make something up. Haha. Although, I’ve always loved collaborating with my clients, it’s also fun to have free rein. I would paint everything. And I mean, everything – white. The house is big and open and the white will make it look fresh. And yes, Swiss Coffee would most likely be a very good choice. It’s one of My Laurel Home Essential Collection paint colors. Remember this wonderful white on white home I featured about a year ago? And, yes, I would paint the floors too. 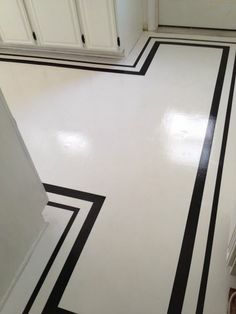 Here’s one of my favorite posts about painted floors. Most of them are white. I realize that painting the floors is probably going to give Tom’s mom an apoplectic fit, but maybe if we get rid of the wood trim, a paler shade for the wood floor? Or else, a deeper shade. It looks like they just put on the poly with no stain. And now, it doesn’t match closely enough to the doors and stairs anyway. It’s disconcerting and looks like a mistake. But, it’s not the worst one. If going the expensive route, I would definitely deal with the staircase and close some of it up to make the home feel more cozy. However, painting everything white will make it not stand out so much. The fan should be white, as well. For more inspiration for using white walls please check out this post. Let’s say that someone GAVE me this house and I had $200,000 to make it my own. That might sound like a lot of money, but it really isn’t. There are FIVE bathrooms! Although, most of them are fine, the master bath needs a complete over-haul, I think. First, I would still paint everything. The stained wood is oak. It’s not cherry, walnut or 200-year-old heart pine. It’s oak and that = common. It will never be a rich, sophisticated look. I wish it were otherwise. Let’s quickly address the kitchen. I don’t know what’s in the soffit except for the recessed lighting, but there should be room for the recessed lighting without the soffit. I’m not crazy about the lower ceiling height here. And sorry, but y’all already know how I feel about these cabinets. Aside from the color and the amount of them, is the door style. It’s the epitome of American mediocrity and my aim is to rid the world of it. The kitchen is tear-down, IMO. It’s really bringing this house down. In its place, I would do a simple shaker door and take it up all the way to the ceiling. And far fewer upper cabinets. Is there a pantry? The final big question is: Can we leave any wood trim anywhere? Yes, they could leave the fireplace mantel and the doors only. Not the trim. Tom had it backwards. All of the other trim around the windows, muntins, door trim, ceiling trim if it’s there should be painted. I would paint it all one color. The vaulted ceiling is REALLY vaulted, but alas, we’re in the snow belt. (aka: SNIRT BELT) It has to have a pitch like that or it could be a real problem. I think it would look nice with some ship lap and ceiling beams — all painted white. That will help break it up better. The other place that it would be possible to leave wooden would be what the office or dining room. I think they could keep the white wall paint as long as there was a rich Oriental rug and art work. 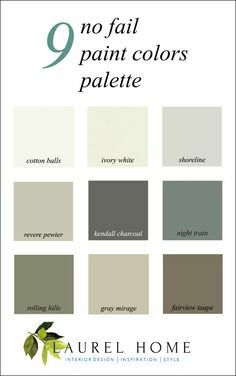 Or, they could pick out a color used in the other decor or furnishings as the wall color. For some great wall colors and inspiration, please check out this post with wood trim and wall colors that look good with it. There is a lot here, but to answer Tom’s question. Yes, they can do a white wall paint, but I very much believe that it would look a lot better to get rid of most if not all of the wood trim. It is not a crime to paint over it, because it’s not classically correct to begin with. I feel that over-all, the home IS trying to be traditional, but the very open plan, mix of finishes and the dated feeling are bringing what could be a smashing home down a few notches. ***Please remember that the price of the Laurel’s Rolodex is going up at 11:59PM this Tuesday, the 20th. And also, please check out this week’s hot sales as well as the beautiful holiday shop. Great post, lost of learning. I still have a question, what should be done if you had to inevitably use two different wood finishes or stains. Apart from painting the trims white. At home we have wooden beams in the kitchen, dining and bedrooms and ship lap and beams in the living room, all in pinewood BUT a nice looking wood in doors and windows. And they don’t match!!! Hopefully Tom will show his mother not only your great ideas but also the overwhelming support for them. Rarely is an open staircase a beautiful thing. It simply draws too much attention. Is that really what the owner wants people to focus on. I really support your idea of altering it. I do think leaving the hand rail stained, but in a darker stain colour (hard to tell what colour it really is) would look good. It would need to match the doors, if they were to stain them. Keep in mind, if they alter the stain on the doors, it’s not a small job and they should probably be sent out to a company that does that as they would have to be stripped first and then restrained. Oak is actually a very good quality hardwood to have for trim. Oh boy, do they need to get rid of that mirror over the mantel! All you see are millions of clumsy spindles! Well, I was thinking chairlift too, but I’m glad that you said it. It’s a large home for just two people. I’m presuming that there are a number of children and grandchildren who will be visiting? Actually, in my old townhouse, there was at least one chair lift, but from the garage, there is a run of stairs, a landing, turn a few steps up, short landing, one more turn a few stairs, a short landing, another turn about six stairs, a big landing one more turn and the final run of about 10 steps. I’m not sure how they did that. Maybe the chair lift was not for all of the steps. Our soon-to-be former home is exactly of this vintage- a big house with lots of oak, though with more modern lines. I had the kitchen cabinet doors replaced and the cabinets repainted in a warm white/cream, and it was nothing short of miraculous at 10% the cost of a complete reno. However, I did have plain black granite countertops I wanted to save and not nearly the amount of uppers this kitchen has. Maybe they could just take down some of those uppers (the ones around the windows) and renovate the rest? Seriously, I could not believe the difference in my kitchen. I think I spent 5k and the results were absolutely astonishing. Here’s the problem. They want white walls. And we don’t know why she bought the house; it could be because of location, price, the perks of the community–lots of reasons. 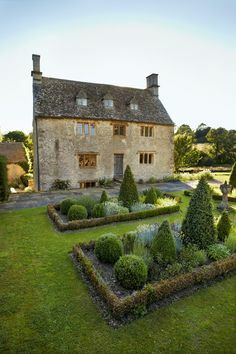 However there are plans to remodel it, so that means that the house isn’t exactly as she wants it. Sometimes, I have discovered after my 30 years in this business, is that clients more often than not, don’t know what they like. People only know what they know and if they haven’t been exposed to something before, it might seem foreign at first. In addition, we have areas that are already white and so it seems strange to have some stained windows and some white windows and in the same room. In other words, it’s a hodgepodge and just because somebody goofed doesn’t mean it has to stay that way. Oh Laurel, thank goodness you said paint it. So much wood. Could they refinish the floors instead of painting them? Hello Laurel, I must be learning from you. Immediately upon seeing the first pictures, I thought that the vertigo-inducing staircase and balustrades had to go. The simplest thing would be to enclose the runs of stairs (thus eliminating the short sections of balustrade) and then paint the whole shebang white. And those newel posts made of giant spindles!! If I had money, I would wall in that upper balcony, which I didn’t even at first realize led into a room. For a quick fix, I would paint those kitchen cabinets white, although they really need some major attention. Don’t those raised panels look weirdly like old television screens? At least the kitchen doesn’t have one of those cliché islands, but that will probably be the one thing that they will add. I don’t mind the upstairs carpet, as long as it is clean and in good condition–the house already has a lot of wood, and carpet can be cozy (although I usually dread that word!) in a cold climate. lol on the cabinets. Yes! That’s what those panels are. I would still do wood upstairs with area rugs, so most of the floor would be covered without that wall-to-wall look. But, my mom when she had a house in Wisconsin always had wall-to-wall except for the entry hall, kitchen and bathrooms. The mirror over the mantel, is only reflecting the staircase and should take a hike elsewhere in the room or house. A lovely painting there should be better. Isn’t the fan too high up to.be effective for those sitting below?